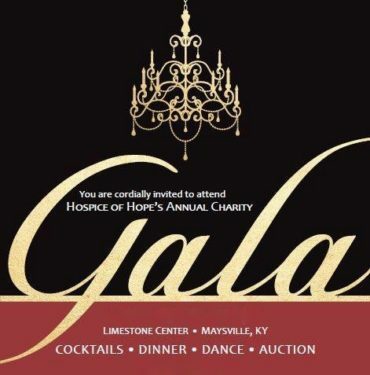 The Hospice of Hope Charity Gala, will be held November 2, 2019 from 7:00 pm to 11:00. 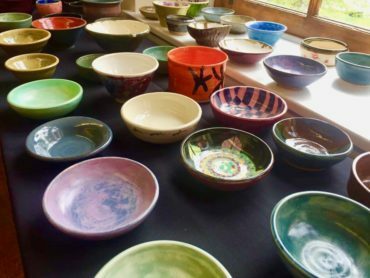 Empty Bowls, an international grassroots effort to highlight hunger awareness, raise money to feed the hungry and further art education. Saturday, November 9, 2019 from 11 to 1 at the Cox Building in downtown Maysville. The basic premise of the event is quite simple. Local high school students, potters and members of the Ohio River Valley Art Guild will create handmade bowls, which will be displayed at the Art Guild Galley on the second floor of the Cox Building. Guests are asked to purchase tickets prior to the event for $20.00, and the on the day of the event ticket holders can choose any one of the bowls displayed. And let’s not forget that guests to this event will be able to enjoy a simple meal of soup, bread, dessert and beverage at the College Café on the first floor. Various local groups have contributed to the project, so the entire value of the tickets will be donated to the Mason County Food Bank.